Our Super Markets Trolleys are especially designed by the expertise to fulfill various storage requirements of different industries. Trolley available in 60 ltrs, 100 ltrs and 120 ltrs capacity. Rizz Display Solutions India Pvt. Ltd.
- Used in super market, co operative societies, etc. 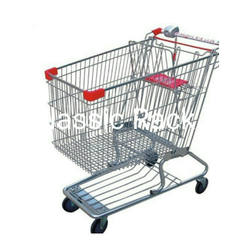 Being a quality-centric organization of this industry, we are engaged in providing a wide array of Shopping Mall Trolleys. made of MS with Galvanized coated wire Elements. Heavy duty PU wheels with easy slide arrangement. 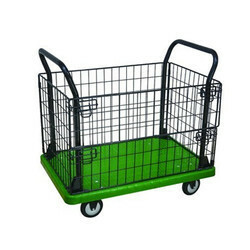 - These trolleys are made up of M.S Wire with Zinc Coating and anti-rust treatment.